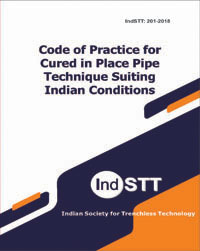 The Code of Practice for Cured-in-Place Pipe suiting Indian conditions has been developed to assist the project owner and the service provider in attaining the desired outcome of the rehabilitation process. The conditions proposed would help in developing the pipeline with desired properties and strengths if followed properly. The conditions have been developed with the assistance of the working committee members and are an attempt at standardizing the technique so that procurement process could be more transparent and the product could be economic in the long run. As with all codes of practices, this would be reviewed and updated with times and the user/reader is invited to send their comments for a further development of the code.